"After a long, grueling day of work, I will pull into my driveway and dread the moment the garage slowly creeps open. My house, to the untrained eye, is clean and comfortable but deep down inside I know the truth: I own too much junk and clutter. 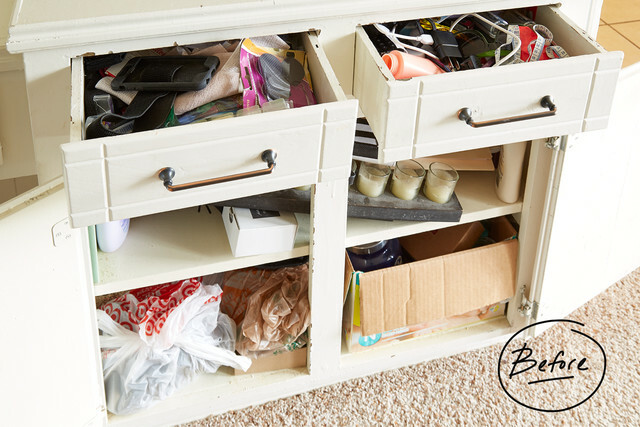 The cabinets are busting at the seams like a button-up shirt after a Thanksgiving meal, junk is swept under the rug and shoved into couch cushions like my parents are making a surprise visit. I have a dream that a professional will help fix my cluttered house. 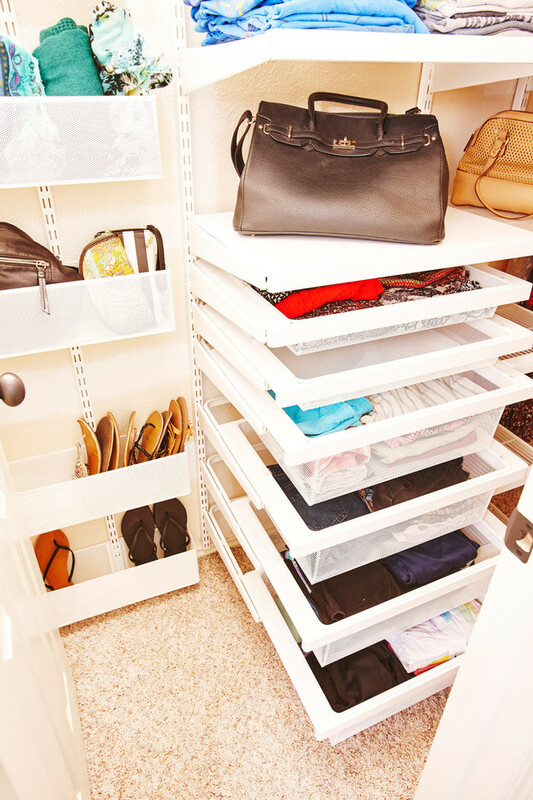 Someone who can teach me how to organize and maintain my home. 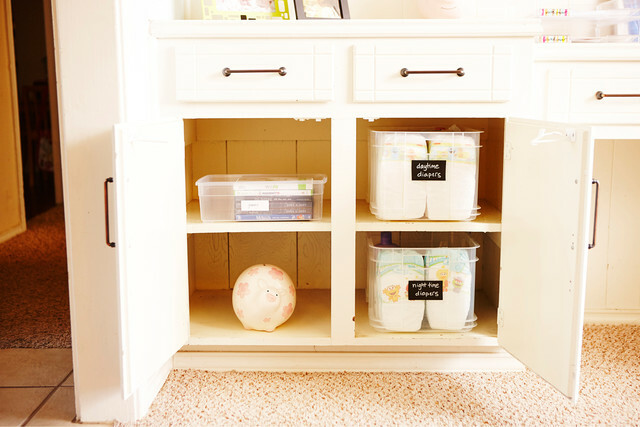 I need someone to help me overcome my fear of opening my cabinets and closets without the dread of being overwhelmed by copious amounts of junk. 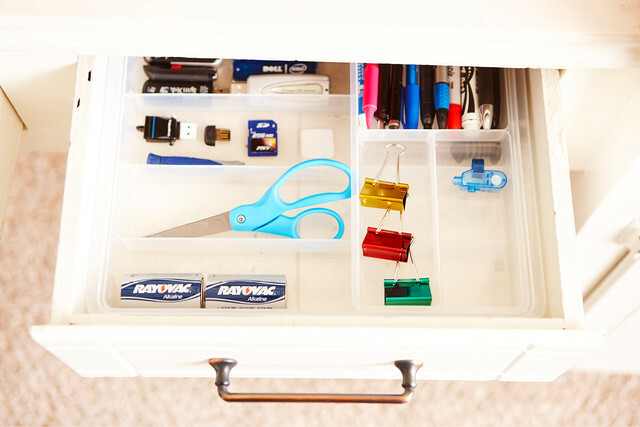 I have a dream that when my husband asks me which drawer the batteries are in, I don't have a panic attack worrying about him slamming drawers and screaming, "why do we have eight different nail clippers but no batteries?!" 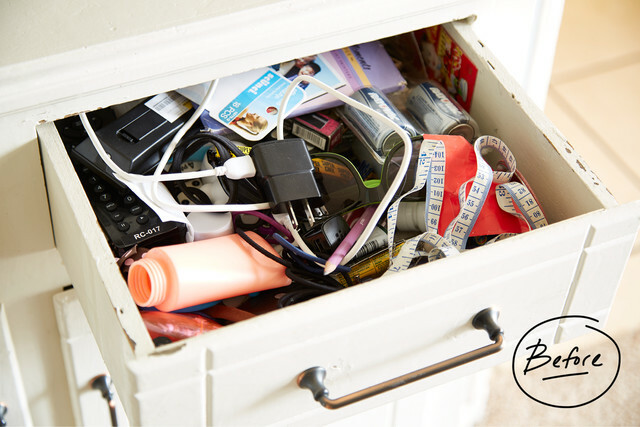 I have a dream that fixing my cluttered home will help fix my cluttered life and allow me to relax and finally find those batteries," wrote Cassidy. 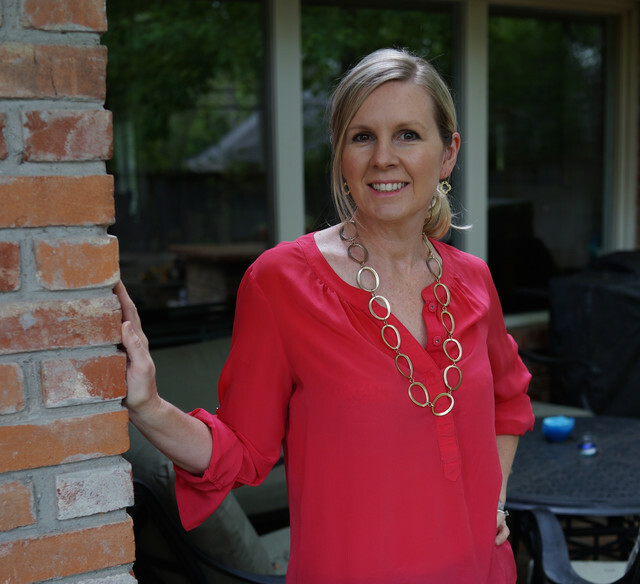 The busy wife, and mom of two, juggles home life with a full time job at Southwest Airlines as well as contributing to the blogs Just Eat Dallas and Dallas Moms Blog, and she was feeling burdened by all the clutter in her home. 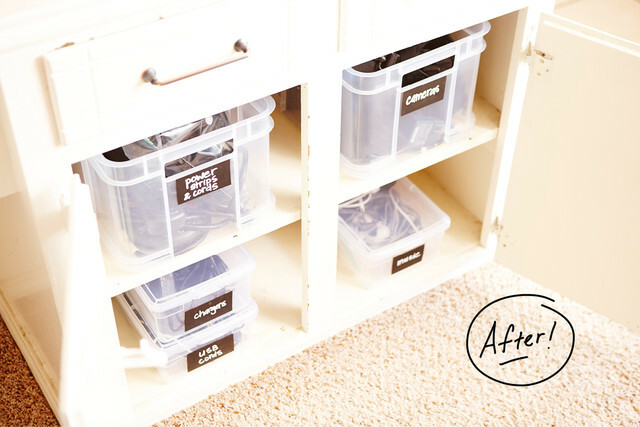 So we sent in an organizer from our Contained Home in-home service, Allison Yoder, to assess the situation and put together a plan of attack for Cassidy's closets and her living room cabinets and drawers. The result was amazing. 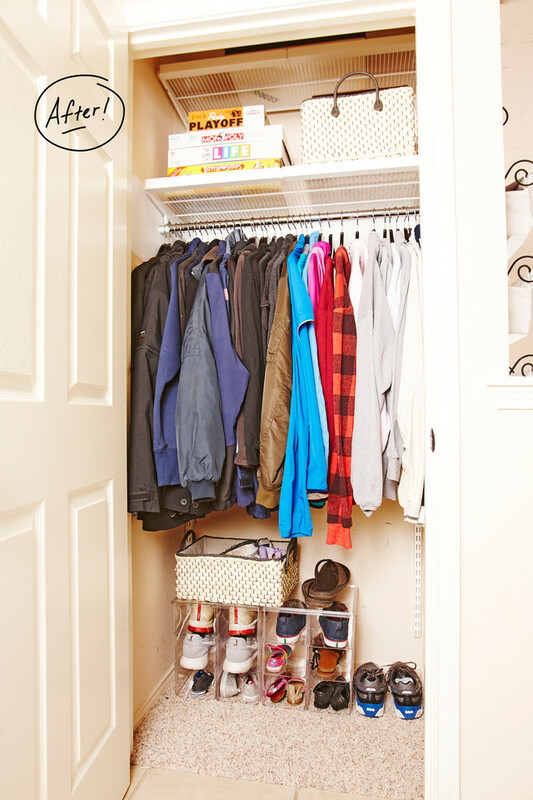 "Cassidy had just gotten overwhelmed with all of the "stuff" and lack of organization in her home. The closets lacked shelves or drawers, and weren't very functional at all, which resulted in things piling up on the floor. 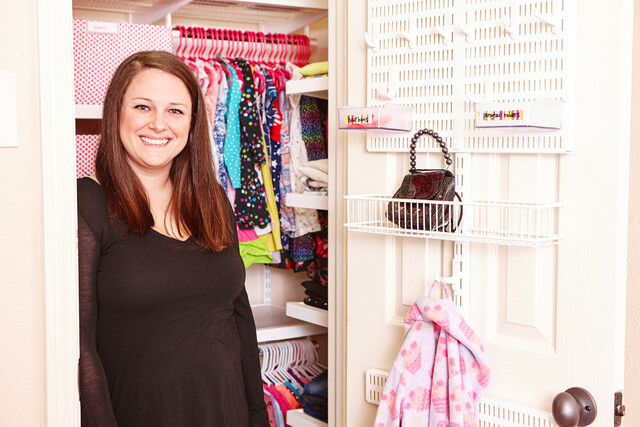 Redesigning the closets with Elfa gave Cassidy a system and framework for organization. 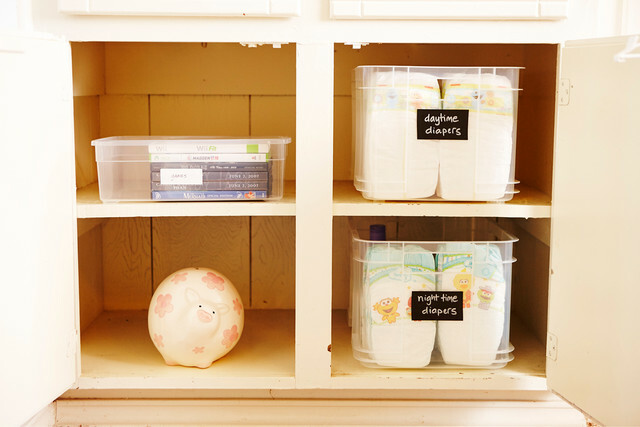 Now it's easy for her to stay organized because everything has a designated home," says Allison. 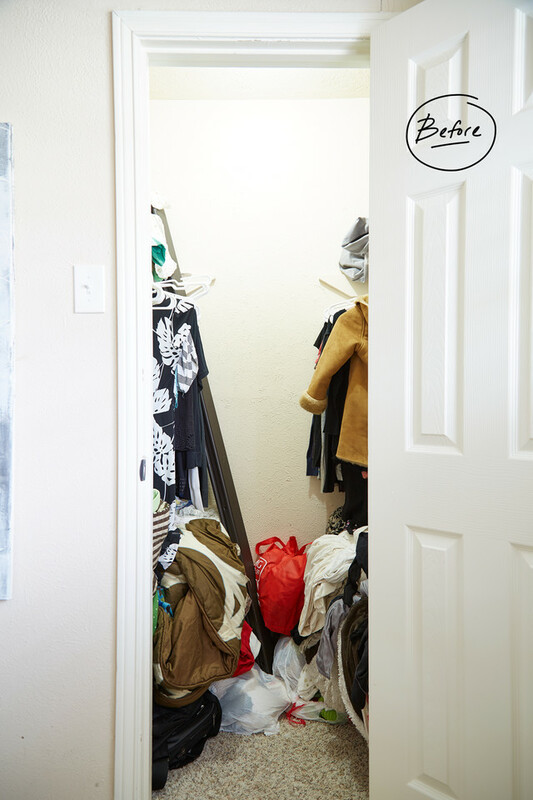 The duo did a master purge of all the spaces, which for the closets meant 10 bags of clothing (some even from her high school days) being removed from the space. And Cassidy is beyond pleased. 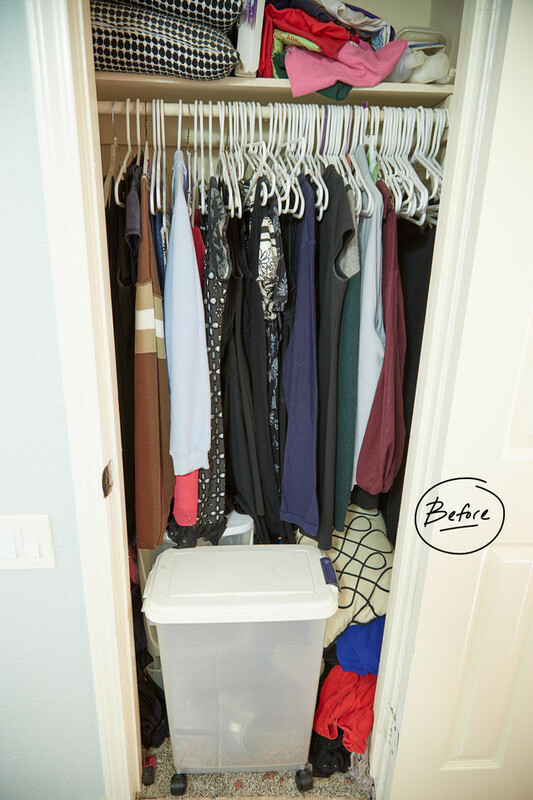 Her quirky, narrow master closet is now a thing of beauty. 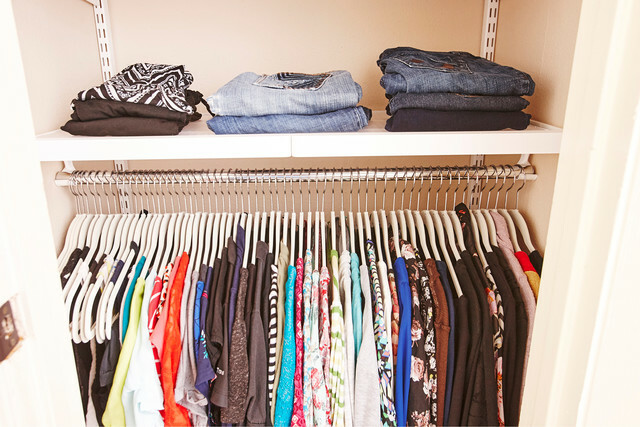 Before the makeover, she says she wore the same outfits every week because she couldn't access the back of her closet. She'd she'd just do the laundry every week and keep them in laundry baskets in the front of the closet. She can now see everything and has even discovered new clothes that she forgot she had! 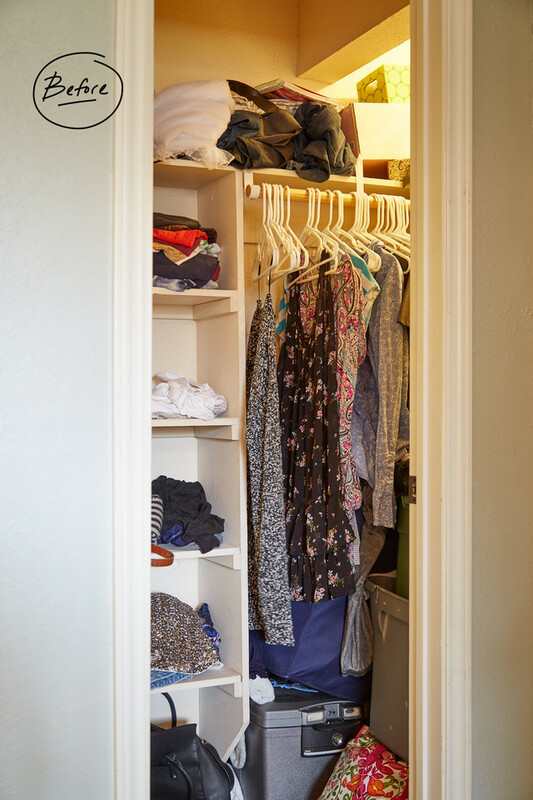 Another small closet in the master was used for storing dog food, Cassidy's workout attire and other clothes - a combination that makes sense right? She said she stopped exercising because it took too long to find her workout clothes. 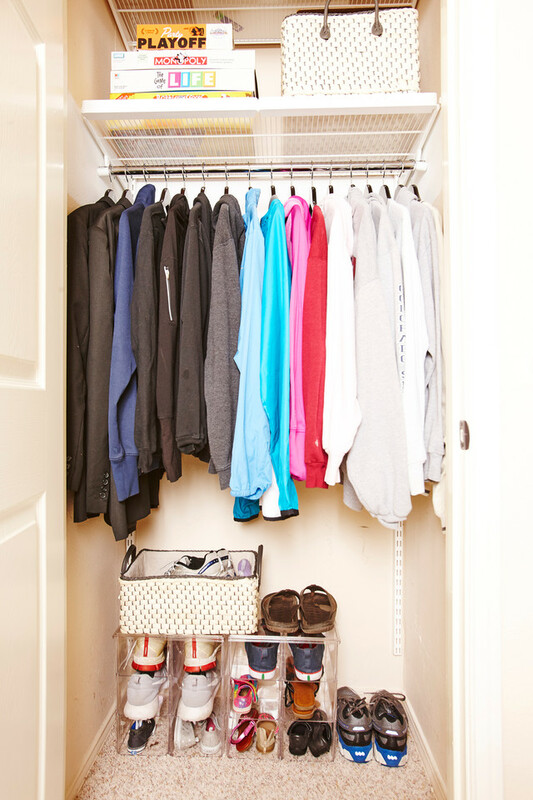 Allison relocated the dog food and now, Cassidy's workout clothes and other items are neatly folded and organized so there's no excuse for ever missing a workout session! 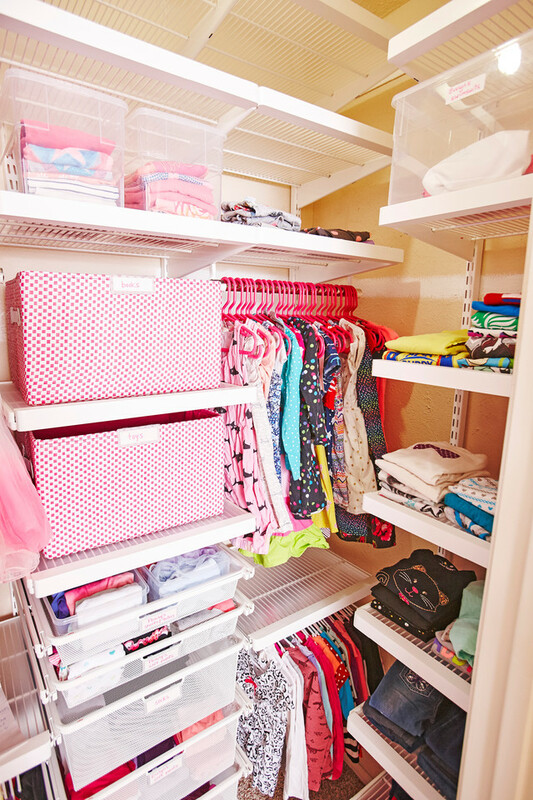 Cassidy's daughter's, Penny (1-1/2) and Evelyn (6), share a room and a closet. 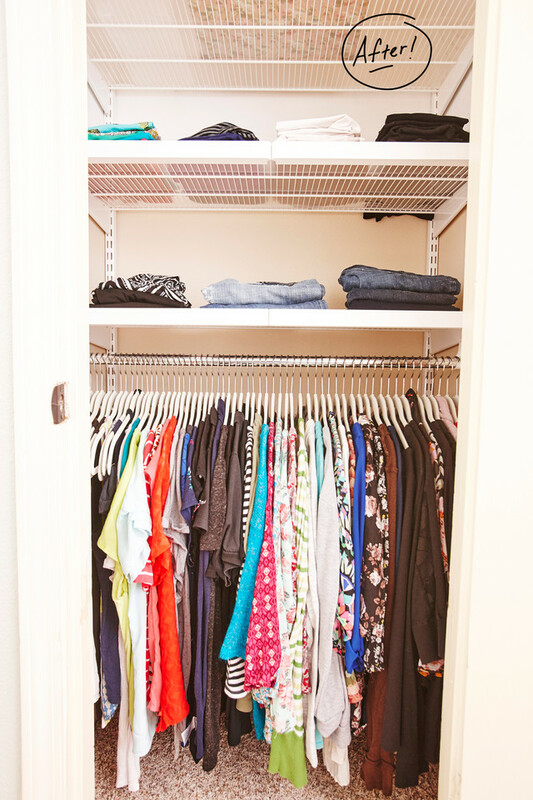 Before, the closet had two sides of long hanging space, which didn't maximize the potential of the closet. 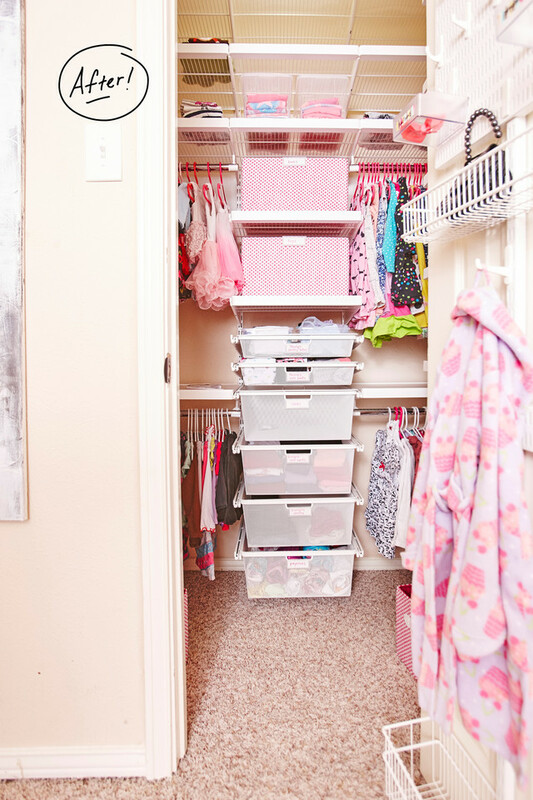 Again, because of the clutter, the kiddos' clothes were often all kept in a laundry basket that they would have to dig through every morning to get ready. 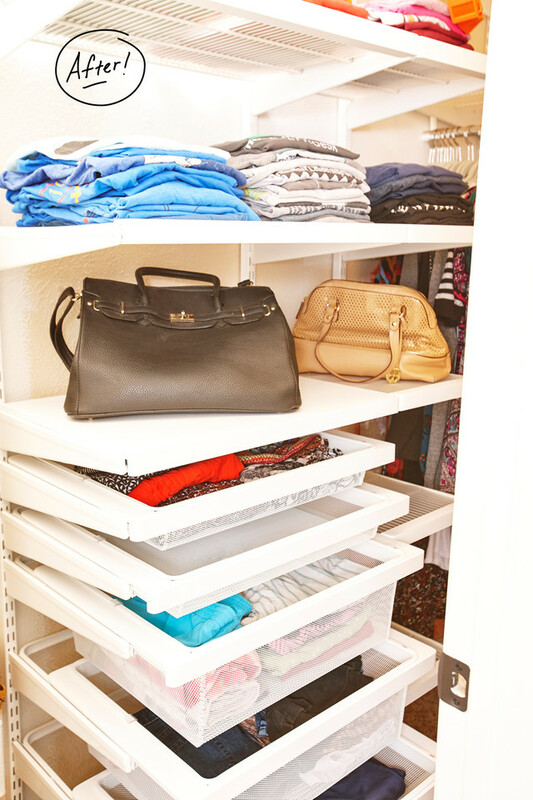 Proper closet systems with a customized designed were what this space needed. 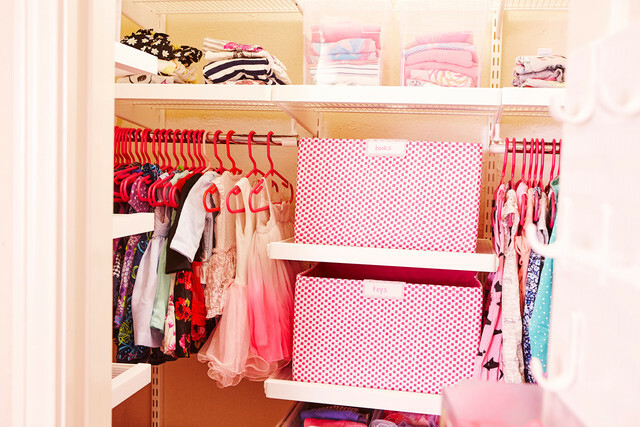 Now the closet is pink and precious - and organized to perfection! 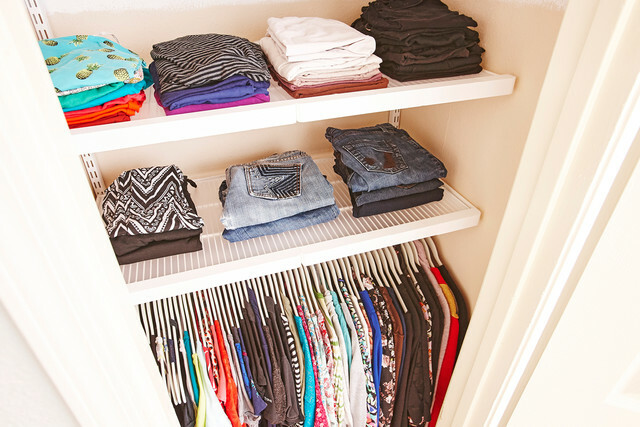 Cassidy says Evelyn is obsessed with the organized closet. 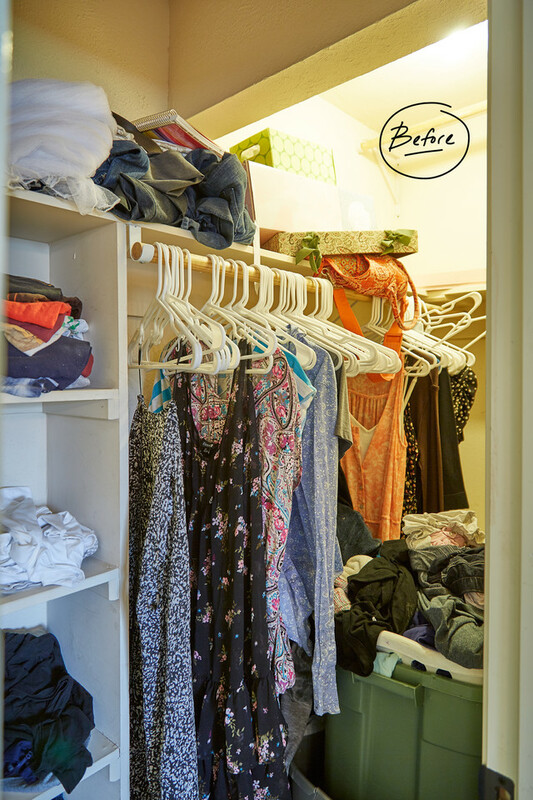 Cassidy washed several loads of clothes and Evelyn helped separate it by color on her side of the closet. 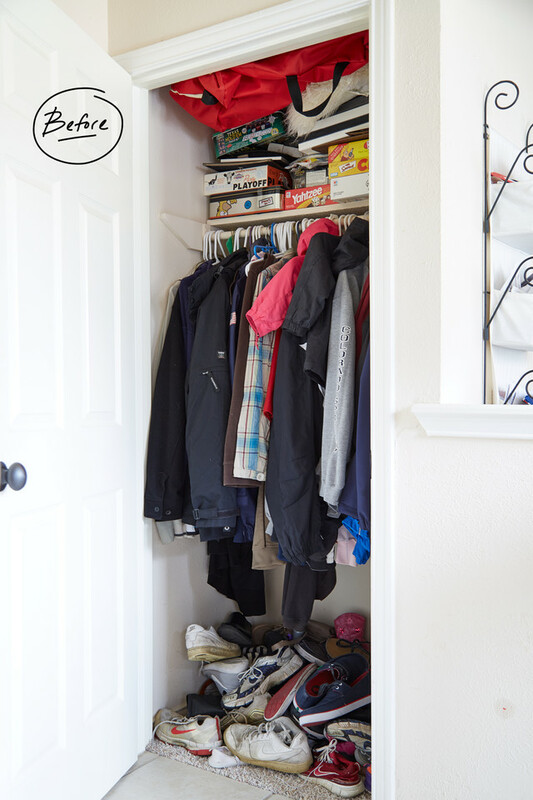 "Cassidy told me that her oldest daughter is very rule-oriented, so if we gave her clothes, toys, and art supplies a place, she would follow the system. 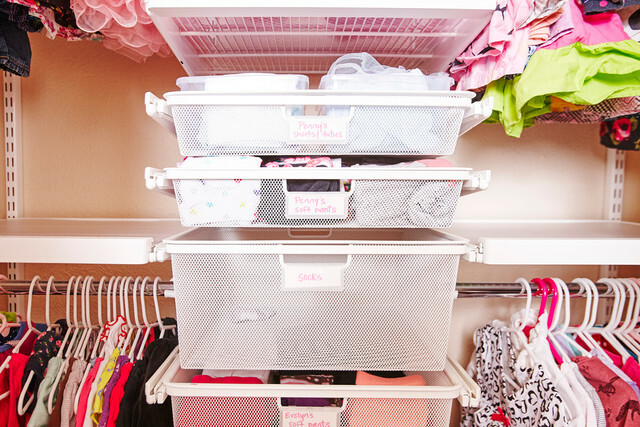 Now she can find her favorite tutu all by herself," says Allison. 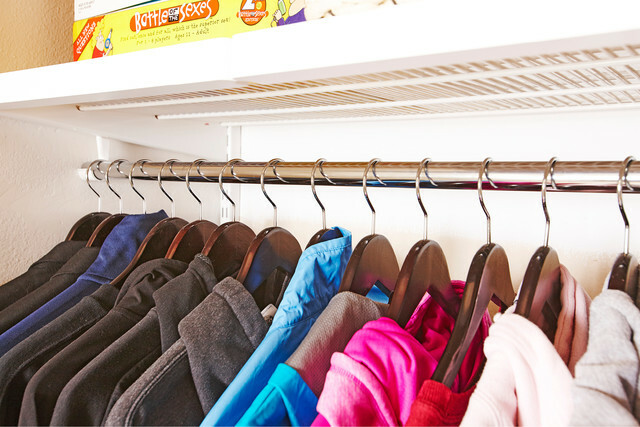 Elfa closet organizers create a ton more space in the kids' closet than before with a series of short and long hanging space, drawers and shelves. The entry hall was catch-all for jackets, games and - shoes! 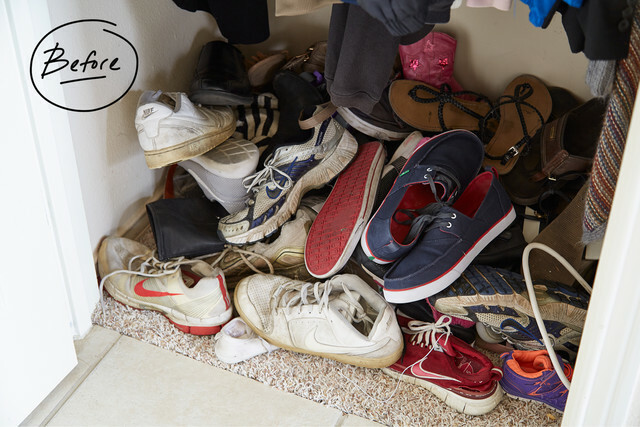 The family has a "no shoe" rule in the house - so the space was accessed daily as the family entered their home and took off their shoes. 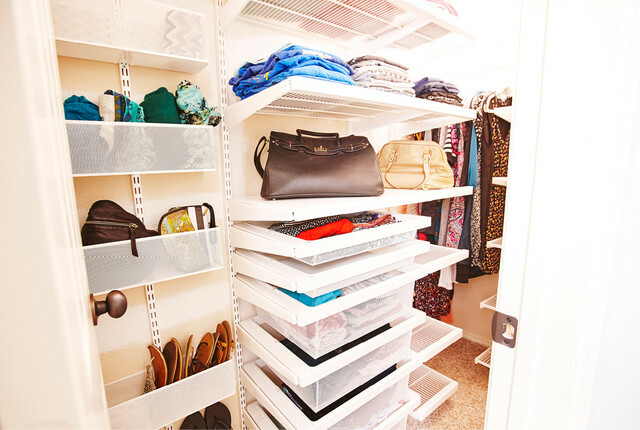 Again, after some sorting and purging, the entry hall is now simplified and more functional with our Elfa closet systems. Cassidy said that, in the process, she even found some important paperwork that she was looking for in the year prior. Cassidy's living room built-ins were a definite source of angst. Remember her fear of a guest opening a door or drawer? Well, you can see why! Before, when she didn't know what to do with something - the built-ins were the go-to. She took the out-of-sight, out-of-mind approach, which just led to a bunch of clutter. 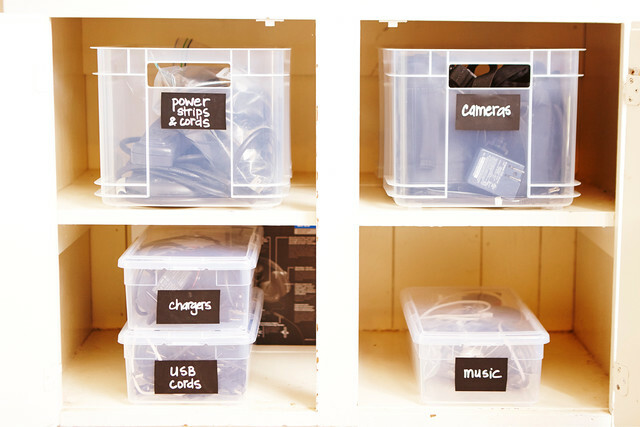 Allison helped her put together a system of labeled bins and boxes - creating a "home" for everything. She said her "rule follower" daughter Evelyn is keeping the entire family on course by ensuring everything is always put back in the right place after it's used. Drawers that were a jumbled mess were cleared out and compartmentalized. Cassidy's courageous letter to the crew at the Kidd Kraddick In The Morning Show proved to be a life changer. "I feel very good and very different. Allison taught me how to look at a space and think about how to use it differently. It's been very inspiring and now I'm organizing other spaces in our home. I've learned a lot of new skills as a result of this and I'm so extremely appreciative for the entire process and opportunity. 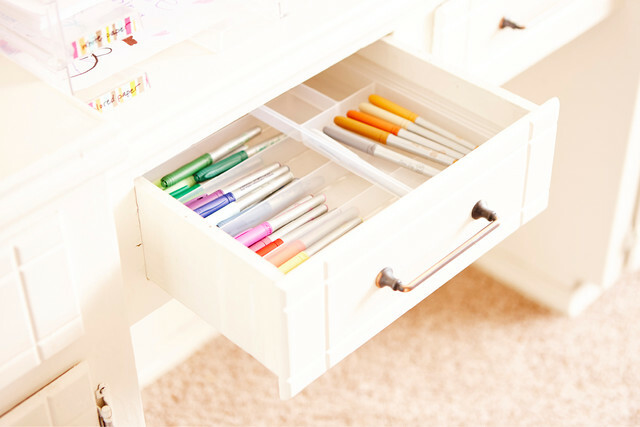 "I loved working with Cassidy and her family because they were so eager to get organized. 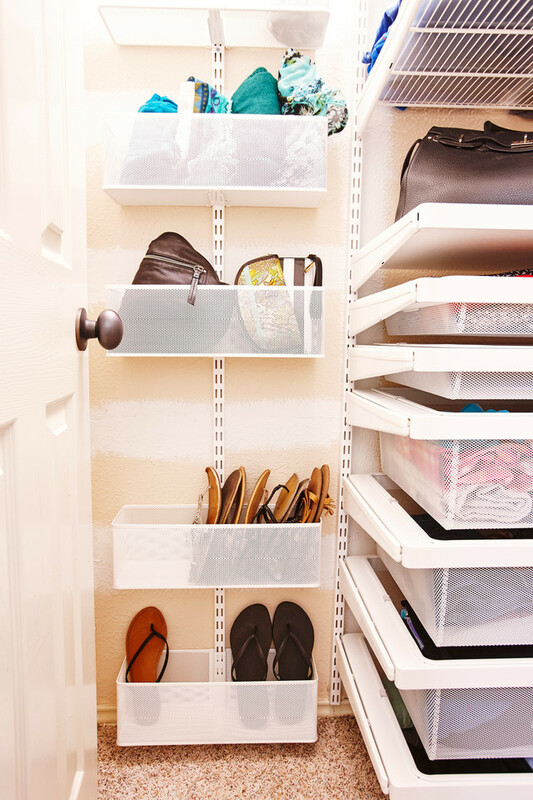 They willingly purged stuff they didn't need anymore to make room for the things that are most important and useful. 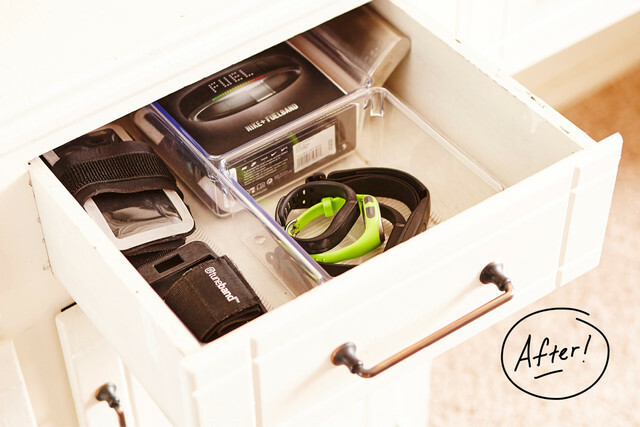 Now they have great systems in place and it will be easier for them to stay organized," says Allison. 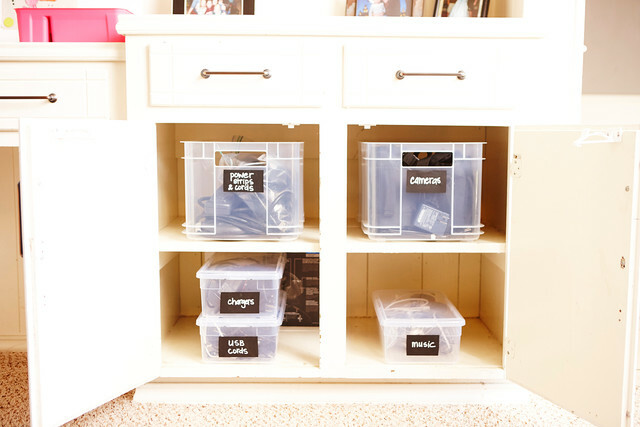 Allison Yoder is the owner of Blueprint Professional Organizing and a partner with The Container Store. 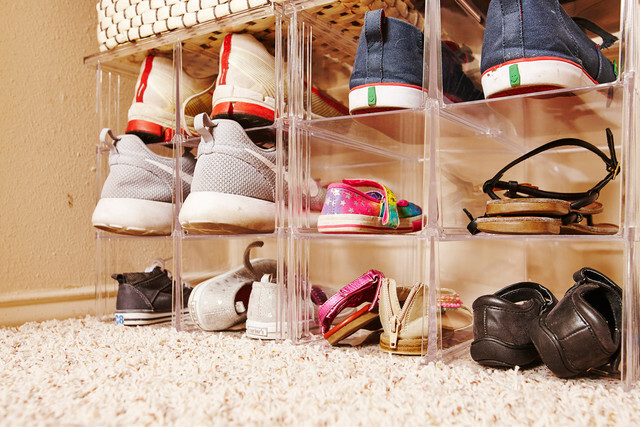 She has eight years of experience as a custom closet and office designer, and a lifetime love of transforming chaotic messes into organized serenity. 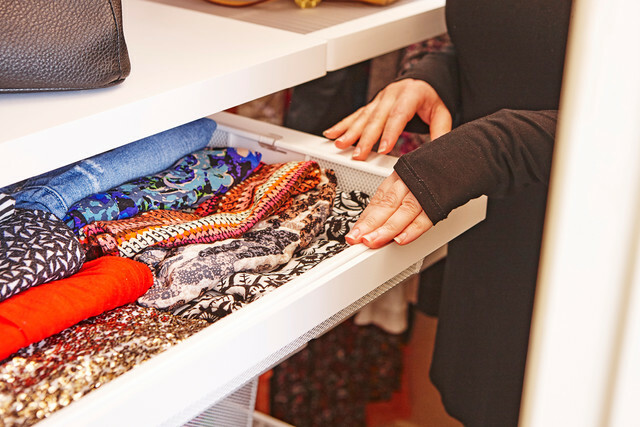 "A place for everything, and everything in its place," has been a philosophy she's tried to live by for her entire life. 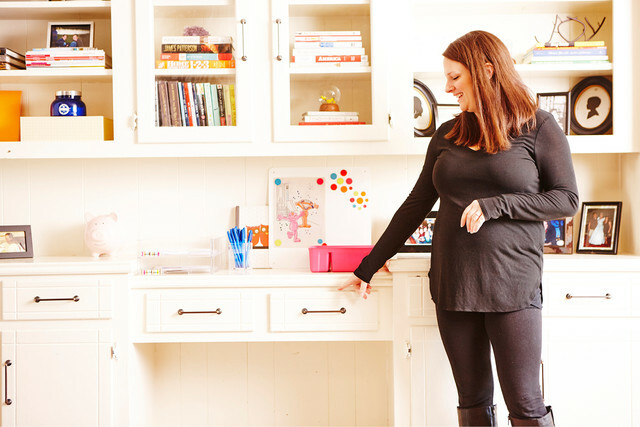 She is passionate about working with clients to create a custom solution that brings to life their dream of a beautiful, functional, and orderly space. 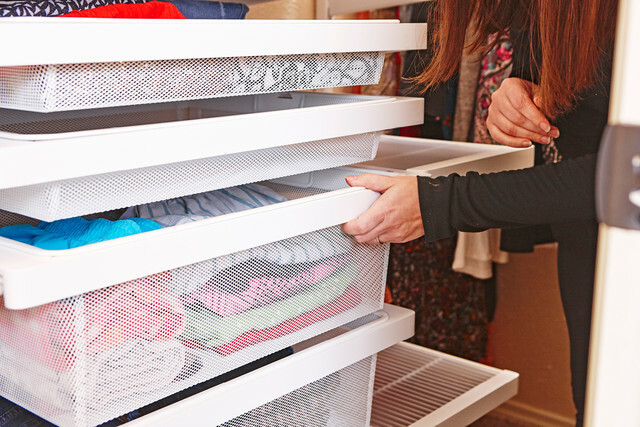 With Elfa, Laren custom closets, fabulous products, and their incredible customer service, The Container Store provides excellent support to Allison so that that she can focus on helping her clients. 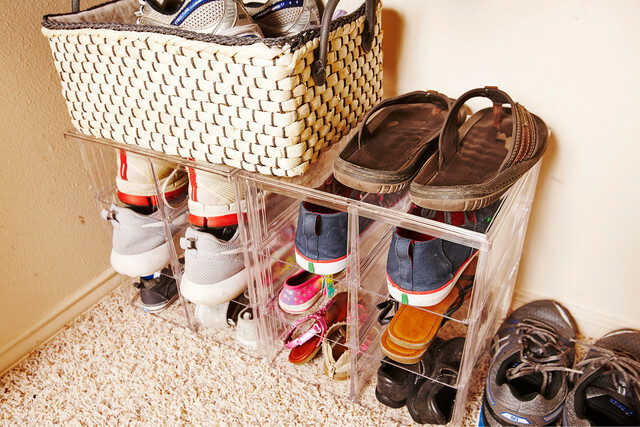 When she's not busy helping others, she spends her free time playing with her two little boys, who always add a dose of reality to her own organizing projects.